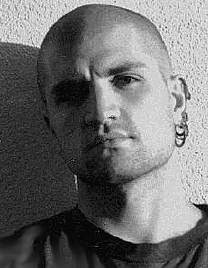 Speculative Horizons has pointed out this open letter that China Mieville posted several days ago, in which Mieville revealed how he has been trying to get several impostors on Facebook shut down to no avail. However, because Mieville himself is not on Facebook, he is finding this task extremely difficult. I can also confirm that George R.R. Martin and his representatives are currently investigating Facebook after the appearance of several impostor pages there and one fan page which is reprinting copyrighted material (photographic and written) without permission. Again, since Martin does not himself have a Facebook presence, he is finding it extremely difficult to report the matter to the Facebook authorities (and the 'report page' button on Facebook only allows the copyright-holder to complain about it, not anyone else). Interesting to see if any other authors emerge having the same problems. I wish Mr Mieville all the luck in the world with his campaign, but sadly I don't think he'll have a lot of luck. If the cretinous arsewipes that run and use Facebook allow pages dedicated to mocking victims of bullying who have committed suicide to continue they ain't gonna give a fig about fake pages set up in someone elses name. the only way to deal with something like this is urge people not to use it, Facebook will only take notice when it starts affecting their wallet.